You won't need an excuse to send everyone an ecard when you take a gander at some of these. From animated to great pics of purebred pups and adults to cards based on some great New Yorker cartoons, you'll be hard pressed to remember the last time you had this much fun shopping for something that is FREE! - The first in our line up is the exciting selection of ecards based on the New Yorker Cartoons! - Geesh, there is no end to Great Dog Ecards . - These Puppy Inspired Love Notes will get you kisses from any recipient, canine or otherwise! - What about your favorite PetSitter? They'll love getting one of these PetSitter Appreciation Cards! 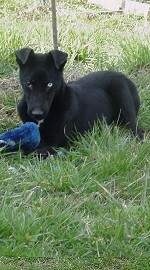 - These Purebred Dogs are another great selection! - Go to this site and then select dogs to see their great selection of Canine Ecards! There are some really great pics here. - Wow!! There are several hundred Canine inspired ecards here! From mixes to purebreds and more! - Not too many here, but they are all fun, animated cards! Definitely worth the cruise! If you know of another site with great ecards, let us know! We want you to be the one with all the coolest cards to send to your friends.